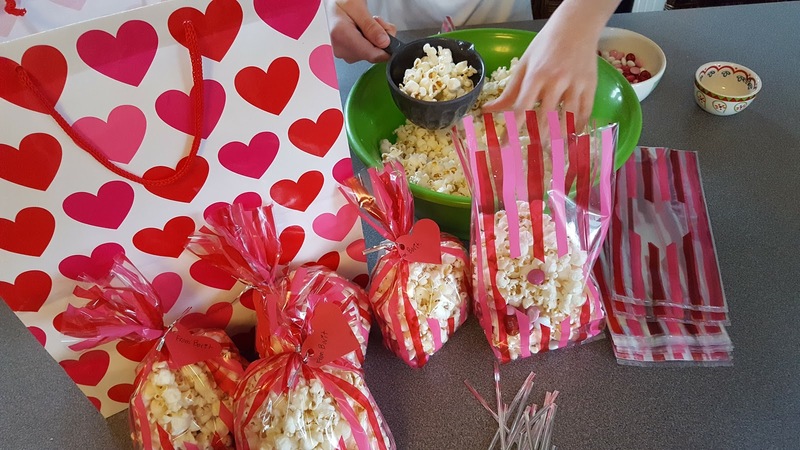 _________Wendy Mac Designs___: Popcorn Valentines! 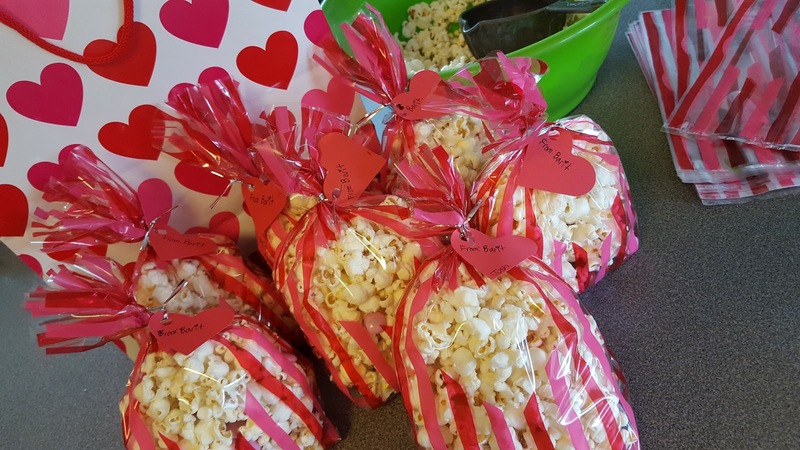 This year I went a little slack on valentines. 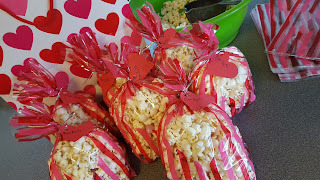 My youngest just wanted store bought valentines for her class. But, my oldest wanted to make popcorn valentines. 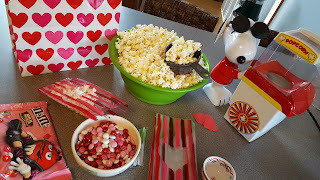 This weekend, I popped 4 batches of organic popcorn in my Snoopy popcorn machine. Then I got everything set up for her. She's old enough now to do all the assembly herself (yeah!!). I punched red hearts for tags. 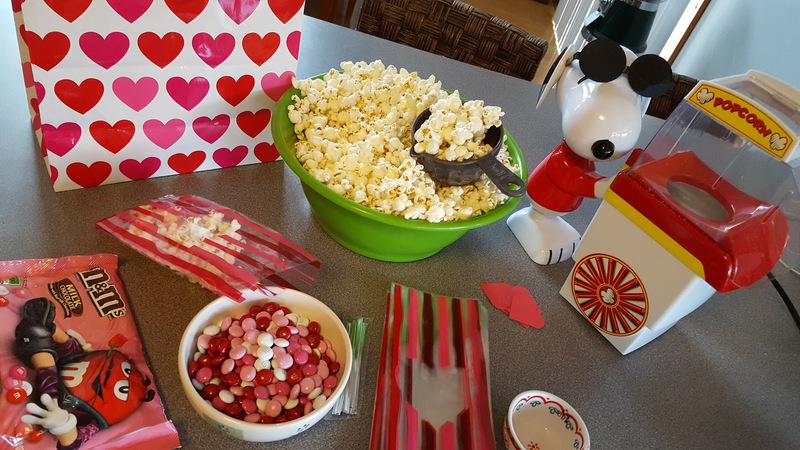 We put 2 cups of popcorn and 1/4 cup of M&M's in each bag. Here's all her bags ready to go! She has a small class of only 7 students, so this didn't take long to finish.